Last Saturday I went to see Polly Nash and Andy Worthington’s harrowing documentary ‘Outside the Law, Tales from Guantánamo’ at London’s BFI. 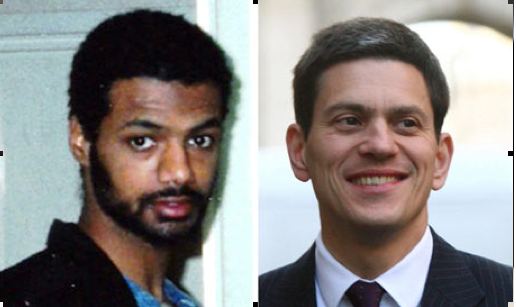 Two weeks ago the Foreign Secretary David Miliband lost his long legal battle to suppress a section (known as paragraph 168) from a court decree revealing that MI5 officers were involved in the torture of ex terror suspect and British resident, Binyam Mohamed. Up until now the testimonies of released British Residents Omar Deghayes, Mozzam Begg and Binyam Mohamed have not been fully absorbed by the British public. This is despite the fact Omar Deghayes entered Cuba with two eyes but came home with one. Many news consumers prefer to maintain that detainee accounts of asphyxiation, physical torment, sexual and religious abuse, were either deserved, fabricated or necessary. Others can not contemplate that a nation proudly branding itself on civil liberties, tolerance and ‘fair play’ could willfully throw us back into the medieval barbarism of the Norman Conquests. Yet, as Miliband’s credibility crumbles in the light of his failed cover-up, so the plausibility of Binyam Mohammed’s testimony gains ground. The tide is changing. The independent judge apparently dissagrees with our delightful foreign secretary. He warns that the integrity our government is now under serious dispute and suggests that Miliband has an undisclosed agenda. Shaker Aamer, the Witness from Battersea. Perhaps the most disturbing and crucial aspect of ‘Tales from Guantánamo’ is that it spotlights the continuing illegal incarceration of South Londoner, Shaker Aamer. All British residents have been discharged from Guantánamo. Yet despite being officially cleared for release in 2008, Aamer remains impounded in a 6 foot by 8 foot cell, tortured, humiliated and, according to reports, force fed through a pipe routed to his stomach via his nose. At 8 stone, he has lost over half his body weight. His wife, the mother of their 4 children continues to live in London where she has been treated for a succession of nervous break downs since her husband was seized. There is no justification offered as to why this Aamer has been singled out. No evidence has transpired to counter his claim that he was in Afganstan in 2002 to help construct schools as part of his religious duty of zakat. It is believed that Aamer’s conspicuous eloquence, linguistic talents and charisma identified him within the gates of Guantánamo, as a exceptional case. He orchestrated collective hunger strikes, translated fluetnly between Arabic and English and inspired his fellow inmates to demand their rights. He was treated by detainees as a holy man, a leader. He was punished accordingly. Speculation surrounding Aamer’s continued detention pivots on the numerous ‘suicides’ he is alleged to have seen, the severity of the torture he has endured and his claims that it was, in part, executed on the behest of British agents. It is widely believed that should Binyam Mohammed’s case progress, Shaker Aamer would be a leading witness against British authorities, cementing evidence that could transfer the label of ‘criminal’ from the defendant to the accuser: namely Whitehall. Back in November last year the Independent’s law editor Robert Verkaik predicted Aamer’s release would be detrimental to the reputation of the UK government. As calls for a full judicial inquiery gather pace, we may well ask why on earth Miliband persists in attempting to thwart evidence in this degrading farce we call Justice. His CV so far for defending the interests of Britain abroad, is not great. Since he took the job he gave Britain’s blessing to Israel’s masacre in Operation Cast Lead (2), he maintained Britain abstain from voting agaisnt the Goldstone Report, he intervened in Polish domestic politics slandering a popular MEP as an ‘anti-Semite’ and he has stood limply in the wings giving lip servace to the Mossad’s use of British passports in their assaination last month. Worringly, it seems the concerns of British soveriengty do not feature high on Miliband’s list of priorities. If they did we could expect that, instead of pushing for a re-write of the law to enable war criminal Tzipi Livni tio visit the UK without charge, Miliband might consider adhering to the law that has protected our rights for the last 800 years – and allow Shaker Aamer to come home. (1) Magna Carta Libertatum (the Great Charter of Freadoms) is and English legal charter, orrigionally issued in 1215. Among other things it explicity supported what became the writ of habious corpus, allowing appeal against unlawful imprisonment. To write to David Miliband requesting the safe return of Shaker Aamer click here. To find out where you can see ‘Outside the Law, Tales from Guantánamo’ click here. Anthony Lawson -"It was the right decision"